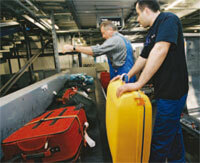 Lufthansa and Frankfurt Airport’s Baggage Improvement Programme has resulted in a 40 per cent reduction in temporarily mishandled baggage compared to 2007. 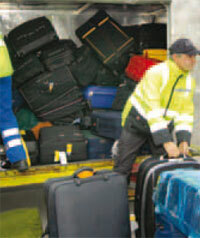 The problem of mishandled baggage is a multi-billion euro issue for which the aviation industry is yet to find a solution. In 2008 alone, 32.8 million bags were mishandled globally and while that was a 20% decrease on 2007, it followed five consecutive years of increases. 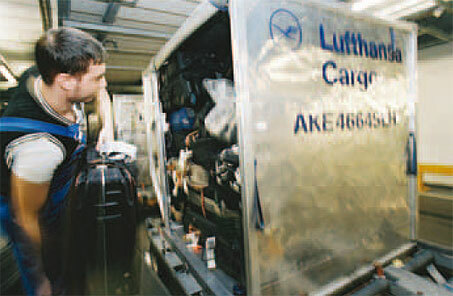 Lufthansa and Frankfurt Airport have, however, decided to focus specifically on this matter and thanks to the joint efforts between the airline and the airport, the project, which is part of the International Air Transport Association’s (IATA) Baggage Improvement Programme (BIP), has led to a 40 per cent reduction in temporarily mishandled baggage compared to 2007. “The project started with a thorough joint analysis done by both Fraport and Lufthansa on the baggage processes, IT systems and interfaces. This analysis revealed areas of redundancy, different viewpoints on the same processes and informational gaps,” said Mosch. With Frankfurt Airport’s Left Behind Index (LBI) being reduced to just 1.3 per cent, the airport/airline partnership was awarded IATA’s ‘2009 BIP Best Airport Award’. One of the most important aspects of this Baggage Improvement Programme has been the specific attention paid to time-critical baggage. The use of ‘hot containers’ to manually redirect transfer baggage has been vital to the overall project. Despite the overwhelmingly positive figures and the apparent success of the joint scheme, Lufthansa is determined to push for further improvements. As well as continuing efforts to reduce the left behind rates, the airline, along with Frankfurt Airport, aims to improve the customer experience by informing passengers as early as possible regarding the location of their baggage. This includes the introduction of SMS push services and direct contact on board to reduce the hassle passengers may experience if their baggage is mishandled. The idea of being able to save time by checking-in before you reach the airport and dropping your baggage at a ‘fast bag drop’ counter is appealing for passenger and airline alike. Handled correctly, the bag drop desk can provide help in reducing queuing times for passengers, trimming staffing levels and freeing up terminal space. The key to a well run bag drop is to make sure that the agent’s focus is kept firmly on accepting baggage and the new generation of self-service bag drop kiosks may help to address this, but can be expensive and inaccessible to the majority of airlines. Damarel’s new SwiftBag application provides a much-needed middle ground, delivering a cost-effective alternative that makes use of the standard airline and CUTE equipment already in use. Designed to be easy to operate, and focused only on those operations necessary, Damarel’s SwiftBag helps the agent process passengers and their bags as quickly as possible. The intuitive touchscreen enabled interface provides a simple baggage registration screen, eliminating costly retraining of staff and keeping productivity to a maximum. With support for document scanners built in, SwiftBag can also ensure you capture all the necessary details for down line security checks. Fully integrated with L-DCS, Damarel’s Local Departure Control System for Low Cost Carriers, SwiftBag can also support web services interfaces for traditional airline hosts. Another technology currently being explored is Radio Frequency Identification (RFID) tags, which are widely viewed within the industry as the long-term replacement to the traditional barcode tag. The tags have already been adopted in the baggage handling arena at both Milan Malpensa and Lisbon airports and the read rate has consistently been in excess of 99 per cent. “Our quest always moves in the direction of new products and technologies to help us in our operation and to enable enhanced customer service. We have been looking into the RFID area for some time now and we’re preparing projects to bring the technology to routine at Lufthansa,” said Mosch. 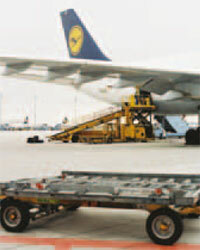 Having led by example in the pursuit of a panacea to the problem of mishandled baggage, it is hoped that the joint venture between Lufthansa and Frankfurt Airport will act as a catalyst for other airlines and airports to invest in similar projects and to further raise awareness of IATA’s Baggage Improvement Programme. Babcock International Group, Airports Division has set up a BAG-NAV demonstration area at its Whetstone headquarters in Leicestershire, UK . This will enable potential users from the airport sector to fully appreciate the operating scope and sophistication of the BAGNAV baggage navigation and monitoring software. BAG-NAV is Babcock’s revolutionary Baggage Sortation and Monitoring system that delivers a one-stop solution for any airport’s baggage handling system requirements. The BAG-NAV suite of software provides a full Baggage Sortation, Reconciliation and Tracking software solution for handling the “Baggage and Passenger Product” from check-in to departure and arrival to baggage reclaim. The software package is able to sort and track individual items of luggage and independently track individual passenger streams so that operations staff can monitor the overall airport performance. Customer satisfaction is naturally at the top of the agenda for airport operators and airlines alike and the timely and secure reunion of passengers with their bags is recognised as a major factor in achieving this. Lost, late or damaged bags negatively impact the passenger experience and to minimise these occurrences, BAG-NAV provides a combination of automatic bag control, data acquisition and performance monitoring functions. BAG-NAV has been successfully installed at London Gatwick and London Stansted and at Vancouver and Dubai airports.